October was a busy month not only for the internet marketing industry but also for Google itself. It seems that the word of economic slowdown has meant companies are scrambling to capitalize on a more cost effective and measureable way to generate business. Google announced profits rose 26% from the previous quarter in a mid October announcement. How can this be you ask? 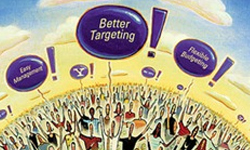 In times of economic slowdown, smart companies are looking at ways to measure every marketing dollar spent. Thankfully, with the rise of the internet has also come the advent of extremely advanced measuring systems. Which leads very nicely to my next point. For many of our newer prospects we have been discussing the launch of our newest internet marketing package called the "SMART PLAN". What this plan does is bundles all of the proven online marketing services that are going to help your company develop a strong website brand, build targeted traffic to your site, and the employ advanced measurement services to measure the effectiveness of those campaigns. The process then starts all over again by making related tweaks to your site. 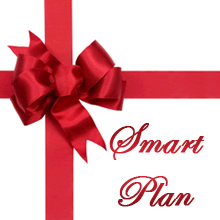 For more information make sure to view the SMART PLAN package found on our website. Other search marketing news this month? Google released a huge update to Google Analytics. 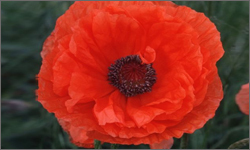 Read more about it by reading Robert’s release in our blog. Followers of the tool are growing very excited about the changes being made to this tool and the continual launches that show a commitment to improvement. From our own inside look at the Google Analytics Groups we are also excited to tell everyone that there are many more improvements to come. If you aren’t already a Google Analytics subscriber, we assure you that there is no better way to track actions and make data drive decisions on your website. There is so much on the bubble right now! We are on the verge of launching a host of websites. It looks like our December newsletter will be filled with website development news! 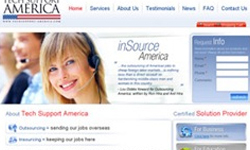 www.techsupport-america.com – TechSupport America provides high level computer support for business that doesn’t want to hire internally but still receive the peace of mind knowing they have a resource that will look after them. Featuring a fresh, clean design, concept, some cutting edge features including a search function and a shopping cart, our design and programming team were able to launch a very slick site ahead of schedule. A very nice piece of work that I am proud to show you! The global economic slowdown has made companies ponder the wisdom of spending huge sums on advertisements that do not offer any measurement tools to track the ROI. Business community in general shows a marked preference to spend money only where measurement tools are in place. I feel a package like your SMART PLAN is just what companies need for the present. Internet marketing companies with innovative products like yours will only stand to gain from the present economic crisis.